They didn’t take any pictures during the race, just at the beginning and end. I found these. The last part of the race is up hill and then to finish you have to bank right. 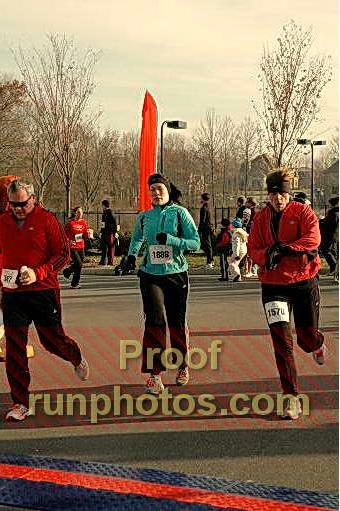 In this picture I (in red jacket) sprinted up the hill and we are ready to turn right towards the finish line. 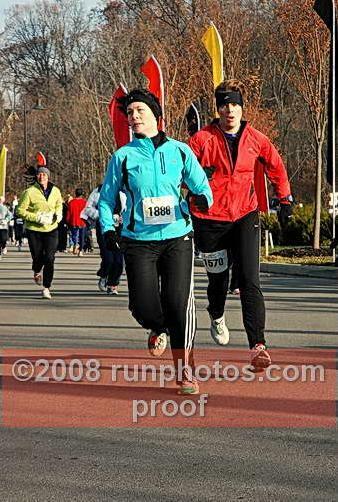 Even though I didn’t run the race as fast as I hoped, I found some solace in the fact that I chased this woman (I have no clue who she is) down at the end.